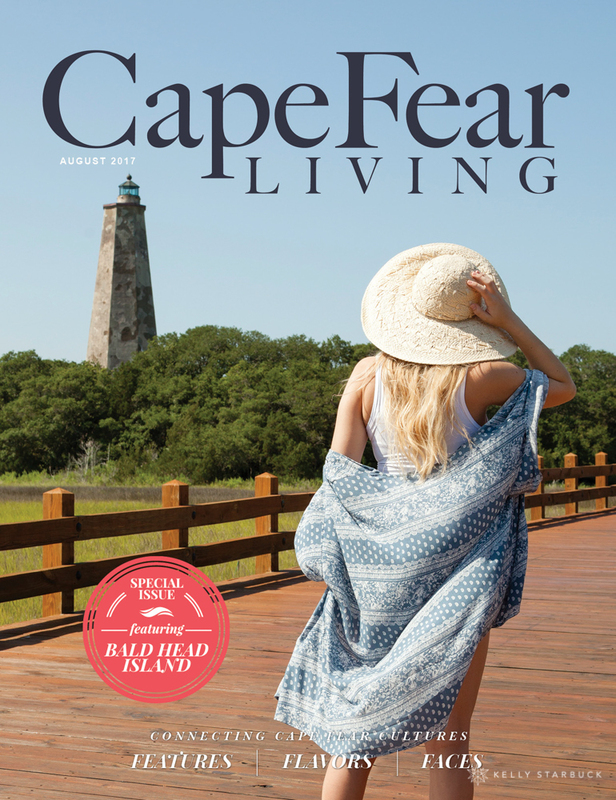 What a fun day this was to shoot the Bald Head Island lifestyle and travel cover story for Cape Fear Living Magazine! 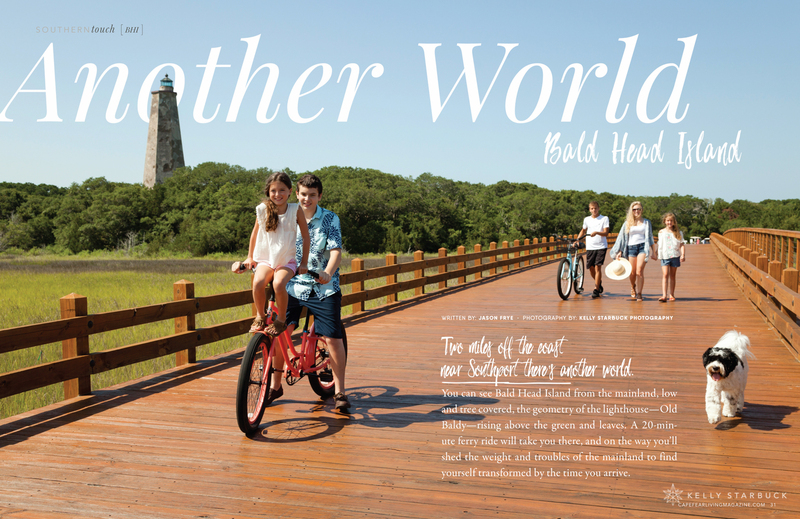 I got some fun shots of the models taking in views of Old Baldy. 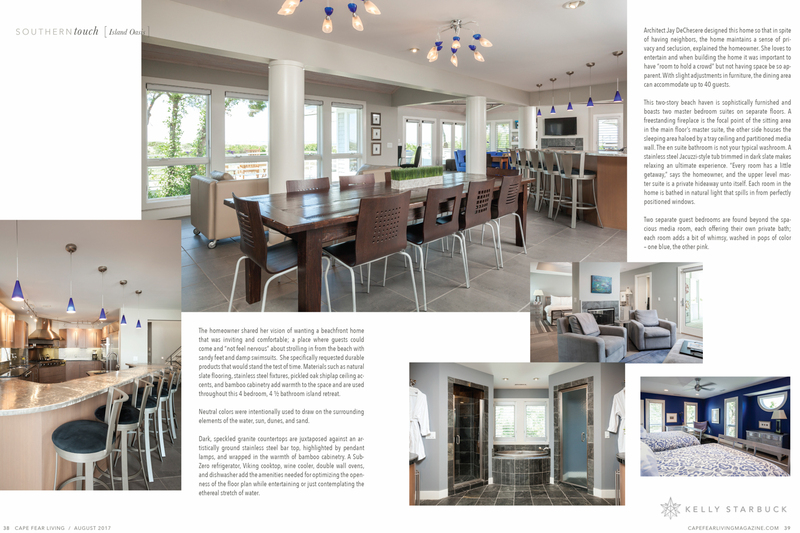 We rode golf carts around the island to each shoot location and then wrapped the day up with an interior shoot at a stylish modern beach house! 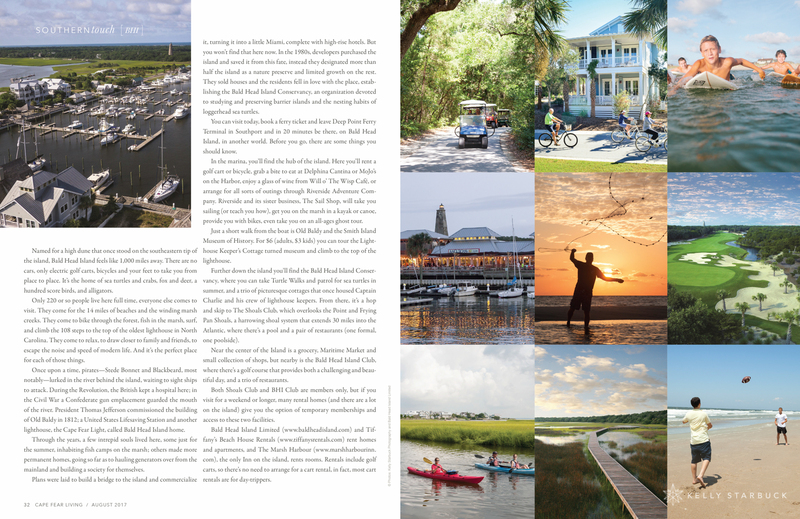 Bald Head Island is just a short ferry ride from Southport, NC and no cars are allowed – all golf cart transportation! 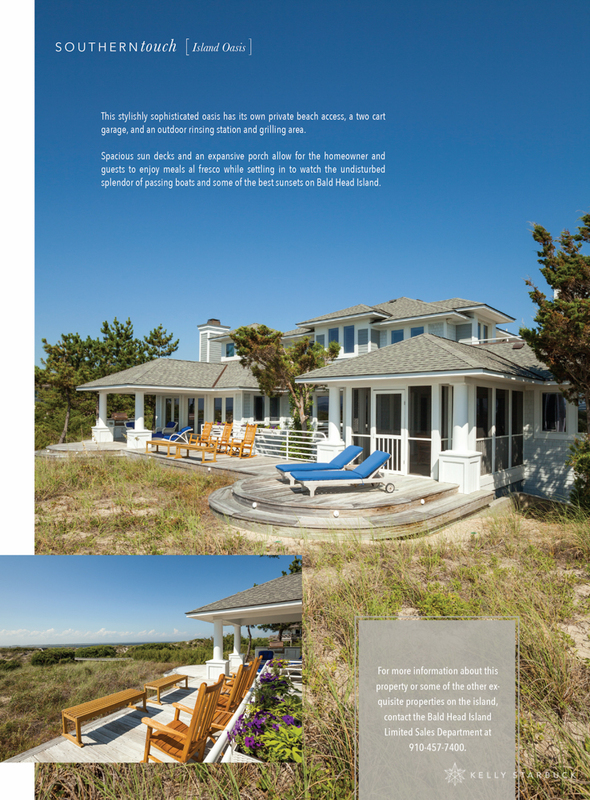 Truly an island getaway! 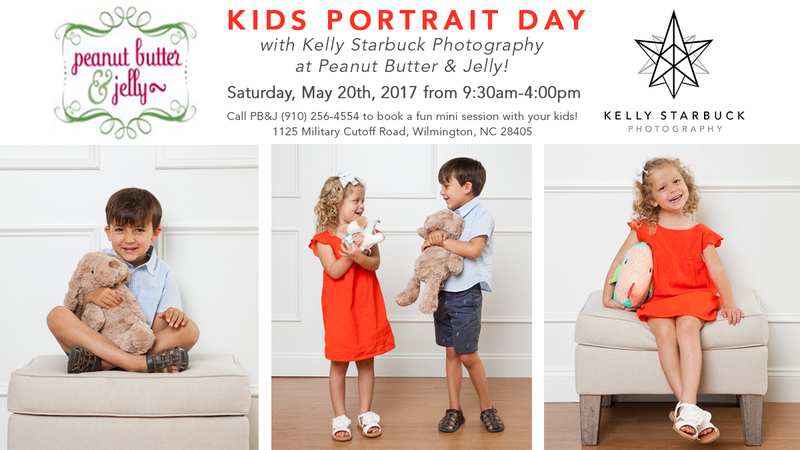 Join Kelly Starbuck Photography for a KIDS PORTRAIT DAY at Peanut Butter & Jelly! 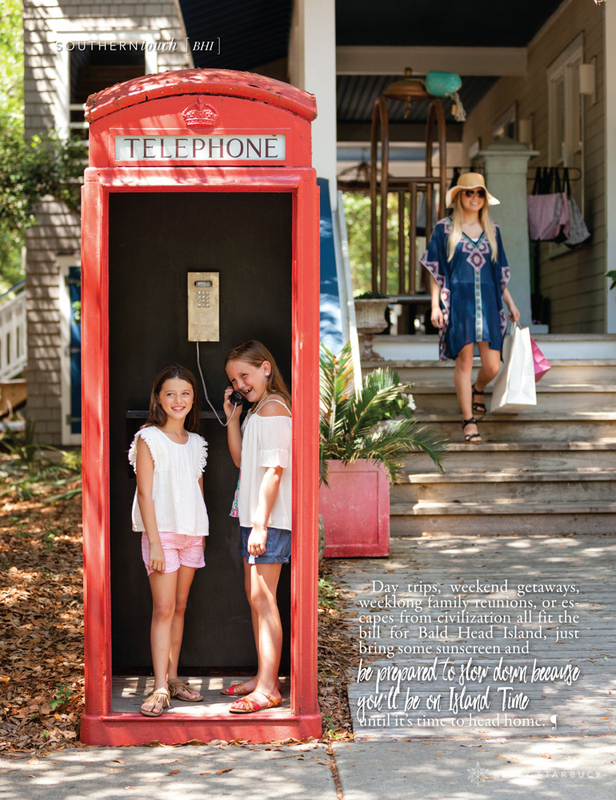 – Additional photos beyond the ones included in your session are available to purchase in digital format or print with Kelly Starbuck. Spots are filling up so book your session by calling 910-256-4554! In the early aughts, Kelly Starbuck was living in New York City and working for international celebrity and interior photographer, Fernando Bengoechea. Managing his studio and assisting his shoots, while also assistant teaching at the International Center of Photography, was proof enough that Starbuck’s career as a photographer would be solidified. As fate would have it, Starbuck’s path would lead back to the southeastern coast. In 2004, Bengoechea and his partner, Nate Berkus (celebrity interior designer), traveled to Indonesia on vacation. During their trip Starbuck’s mentor lost his life in the fatal tsunami; Berkus survived. 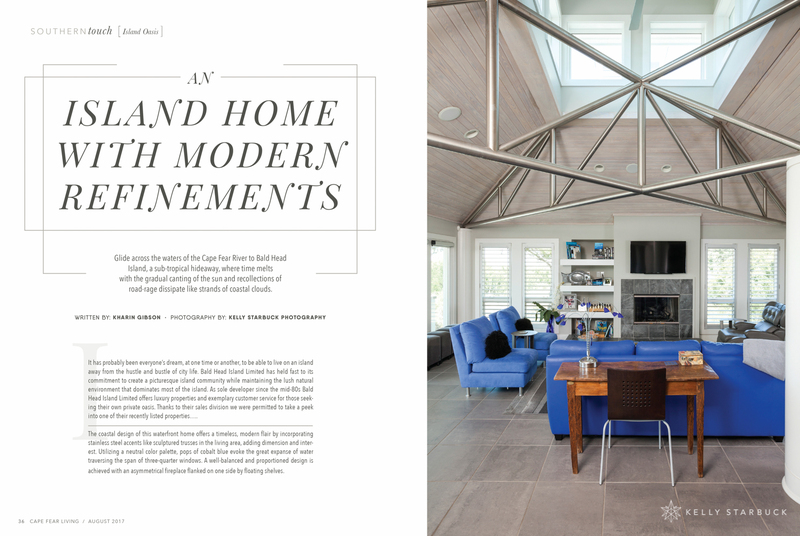 “Bengoechea’s work inspired me and I began to focus on portraiture, interior, product, travel and lifestyle projects, as well as personal fine-art projects,” Starbuck says. It wasn’t until late 2009 she moved home to be near family and embark on a continuous evolution behind the lens. In 2013 she opened SALT Studio Photography and Gallery in the Brooklyn Arts District, which featured national and international photographers. She also continued her own work, being published in national magazines, for TV segments and programs, and showed in group exhibits in the Chelsea Art District in NYC, as well as locally in the Cameron Art Museum and for the arts council. Though she shuttered SALT in 2015, beforehand she met Rich Leder, executive director of Brooklyn Arts Center (BAC), in the neighborhood as he dropped into the gallery to admire the work. Leder pitched a partnership group show, focusing solely on photography, something Starbuck, too, had been considering. “It couldn’t have been more serendipitous,” Starbuck says. This weekend they’ll open “Southern Exposure” on May 15 from noon to 6 p.m. at BAC. Starbuck curated the event, which will feature 22 local and regional photographic artists and photography-related businesses. Works will be shown on various platforms, from canvas to wood, paper to metal and beyond. Starbuck, who worked with BAC’s Jessica Pham in choosing applicants, wanted to really highlight fine-art photographers. The hope is to introduce various interpretations of photography as an art form—not just a way to document time, place and events. In our digital world, with every phone equipped with a camera, capturing a photo is as easy as breathing. But Starbuck wants to show how it’s not the camera that makes the photo great; it’s the person operating it, whose vision and understanding of tools punctuates and enlivens the imagery. Starbuck became fascinated by UNCW student Halley Robbins’ stark black and whites. Though the European architecture Robbins captured was visually stunning, the dark profile of a white lily really struck Starbuck. As it turns out, Robbins is the youngest artist in the show, and she attended the teen academy at the same center of photography Starbuck once taught at in NYC. Also showing will be Kristen Crouch, whom assisted Starbuck on shoots. Crouch’s process is experimental, with digital manipulation and printing on alternative surfaces, like wood, sand dollars and glass to add texture. “Kristen’s more recent work with glitch and color-blocking turns the image into a whole new piece of photographic art and is modern and edgy,” Starbuck says. Starbuck’s work also will be on display. 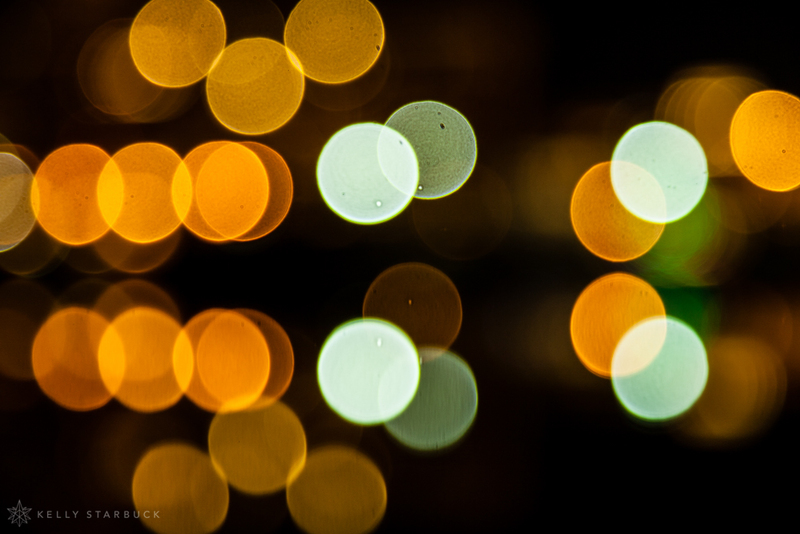 Specifically, she’s looking forward to showing her recent abstract night photos, called “Bokeh Nights.” She shot them on the Cape Fear Riverfront. Also on display will be macro abstracts of local flora, silver gelatin fibre prints of sea life, and more. Sponsors will be on hand to help local photographers and photography-based businesses as well. Southeastern Camera will do free diagnosis on camera problems and sensor cleanings. Frame Masters will showcase their custom frames and offer discounts. Canvas Giclee Printing will give suggestions with printing on their fine art papers and canvas, plus they’ll raffle off a canvas print during the show. Aside from attendees meeting and purchasing art directly from photographers, the $5 admission fee includes a raffle ticket to win artwork or a service by one of the artists; 20 or 30 items will raffled off throughout the day (winners do not need to be present to win). The Catch Food Truck will dish out eats, Lativa Coffee Co. will be selling coffee drinks, and there will be a full cash bar set up for Sunday spirits. Sunday, May 15, noon – 6 p.m.